From July through September, Myfood published features on Independence Day, American whiskey, and U.S. food ingredients for aging population. 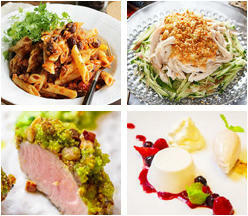 Myfood’s recommended recipes page featured meals using American nuts and dry fruits and recipes for aging population using ingredients from the United States. The “Eat & Drink” page introduces visitors to restaurants and shops in Japan featuring American-style cuisine and American food and drinks. This section continues to provide information on local restaurants, recipe contests, and in-store promotional activities for U.S. foods. From July through September, the page featured several announcements, including a press release about the “Taste of America,” as well as press releases from the Alaska Seafood Marketing Institute and Napa Valley Vintners Association. Myfood’s popular prize campaign attracts thousands of people to apply for a gift several times per year. 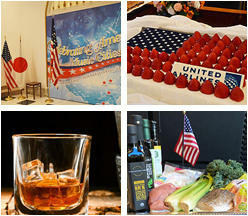 Gifts include sample products from cooperators, U.S. food importers, USA Pavilion trade show exhibitors, and participants from other U.S. food promotional activities organized by ATO Japan. A case of grapefruit from the Florida State Department of Citrus was given to ten people in January and a bag of oatmeal from a FOODEX exhibitor to ten people in April. Large banners in the bottom of the top page featured special topics from a variety of Cooperators and ATO activities. On the right, there are banners to link to the Embassy and USDA related websites and blogs. There are several ways for you to be an active part of this website.